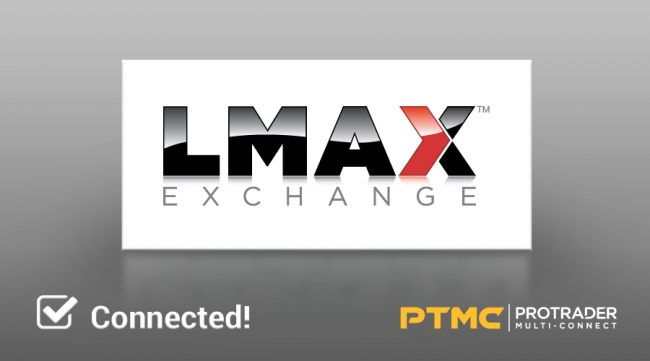 PTMC trading platform starts offering access to no ‘last look’ liquidity and unparalleled execution capabilities from LMAX Exchange. This enables traders to benefit from transparent price discovery and precise execution with no rejections or re-quotes. Traders will be able to access both Level I and Level II liquidity in over 70 products, including spot FX, precious metals, commodities and equity indices. Access to LMAX Exchange through PTMC makes it possible to use advanced panels of platform, including Market Depth, Matrix, etc. Also, traders will appreciate the ability to close positions for the same trading instrument separately and do not close positions by FIFO or LIFO rules. This means each new position is not summarized with already existing positions opened in the same direction.